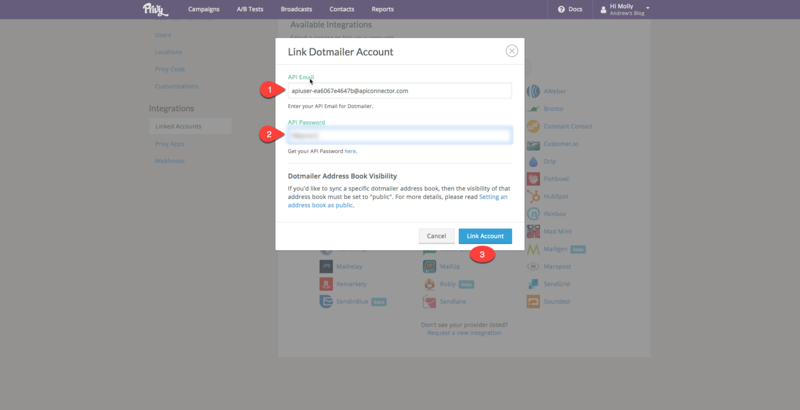 Privy can automatically sync your contacts over to your Dot Digital (Dotmailer) account. 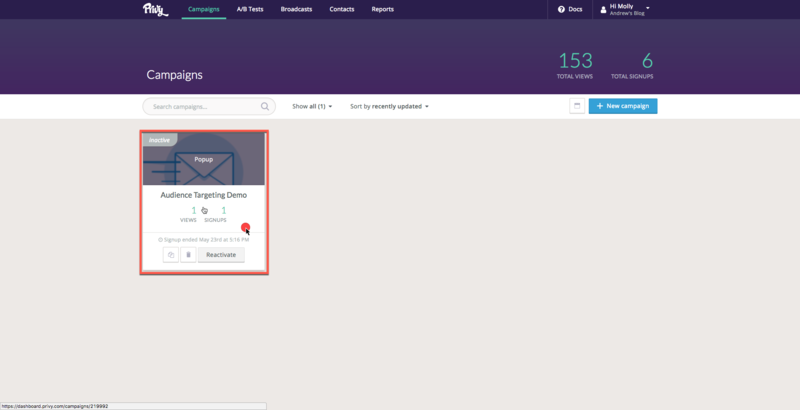 After you complete the following steps, anytime a customer signs up for your Privy campaign, they will automatically be synced to your Dot Digital account. 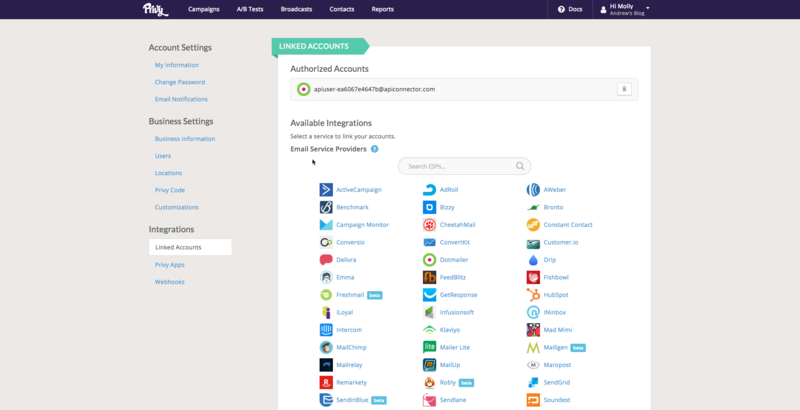 To begin, click on the menu in the upper right corner of your Privy account screen and select the option labeled "Integrations". After logging into your account click on the Settings icon on the lower left portion of the screen. Then select "Access". Then, select the blue "Link Account" button. 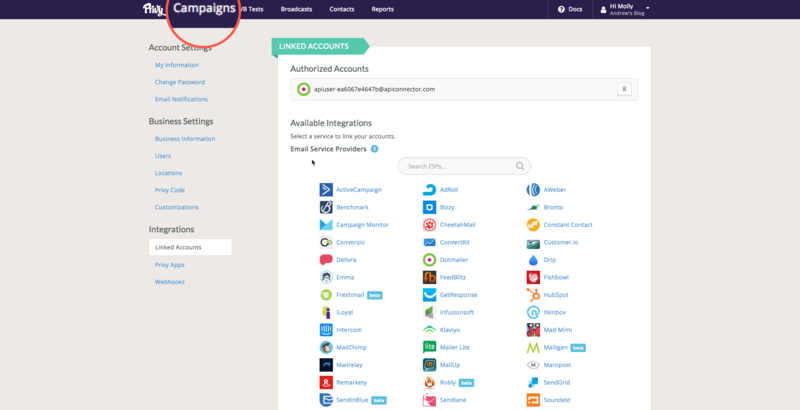 Now navigate to the campaign’s Automation settings (in the campaign's settings tabs), click the "+ New Rule” button, and choose which account and list you want to sync new signups to. Congratulations, you've now created your dotdigital email sync! Special note: Refer to the Using ‘double opt-in’ article at dotdigital to complete the double opt-in setup. Please note that double opt-in is not supported when syncing to the ‘All Contacts’ address book.